At Children's Dental Center of Birmingham we feel that every patient has a right to healthy teeth for a lifetime. 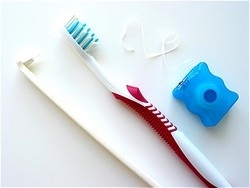 Your child will receive proper brushing and flossing instruction at every visit with us. Dr Carr and the dental team will also emphasize the importance of good eating habits. We will provide professional dental cleanings combined with the appropriate fluoride treatment based on an individual patient's needs. We partner with our children's parents to keep smiles beautiful and healthy. Call us today for your child's next appointment!